It was a close one this month. backhoebill, Boudah, Horizon122 and 3 others like this. Last edited by Heavy_GD; 01-19-2018 at 02:31 PM. Thank you, I had to grind for this view. 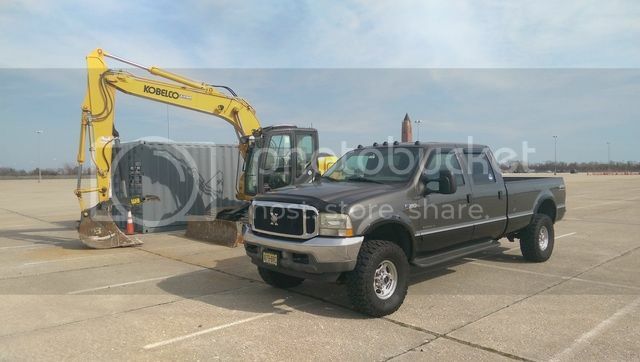 2002 Ford F350-Lariat-CrewCab-LongBed-7.3L PowerStroke Intercooled Turbo Diesel! Enough Stuff To Pull Yours! 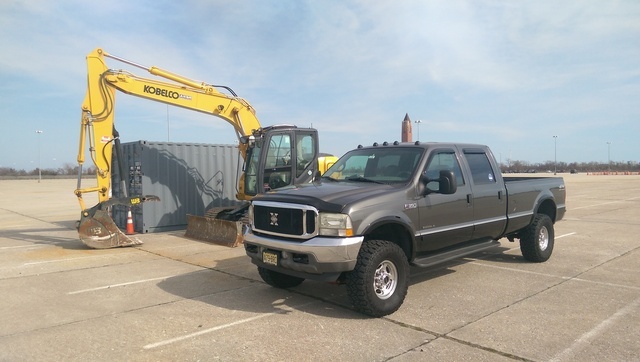 2007 F-350 4X4 CCSB, 6.0 PSD, ZF6 Manual Trans, 3.73s, EGR and Cat improvement, Edge CTS2 with EGT and Fuel, SCT X4, PHP FICM Programmer, Sinister Adjustable Fuel Press. Cover, Ficmrepair.com batt/alt wiring upgrade, Bosch 140 amp alternator with overdrive pulley, Rotella ELC, High-Idle mod, Mishimoto coolant filter, 6.4 starter, Genex mirror w/temp and compass, Magnum RT steps, Leer 100R Shell, Custom front bumper replacement, Steelcraft Elevation rear bumper, B&W turnover ball, 4" Cat Back exhaust, JVC head unit with backup camera, '08+ towing mirrors and rear diff. cover, etc. I occasionally use incorrect grammer and/or punctuation just to see if anyone notices. So far no one noticed I spelled grammar wrong. My truck is too big for your screen. I invented a carbon sequestration device. I'm calling it 'tree'. Patriot... The box used to be a padded room for you before you managed to escape. Now they are too afraid to try and contain you again. Not to mention its way too much fun to just let you run wild. What the heck is a Hy-Vee? Hey man, I know you're as blunt as they come, and these days that's a quality as a man I do appreciate, and i think most of us do. where is the beer emoji when u need it.